Alexander von Humboldt was one of the founders of biogeography and ecology. He had an a crazy upbringing and strange life, but his integrative view of nature and focus on precise measurements had a strong impact on Science. 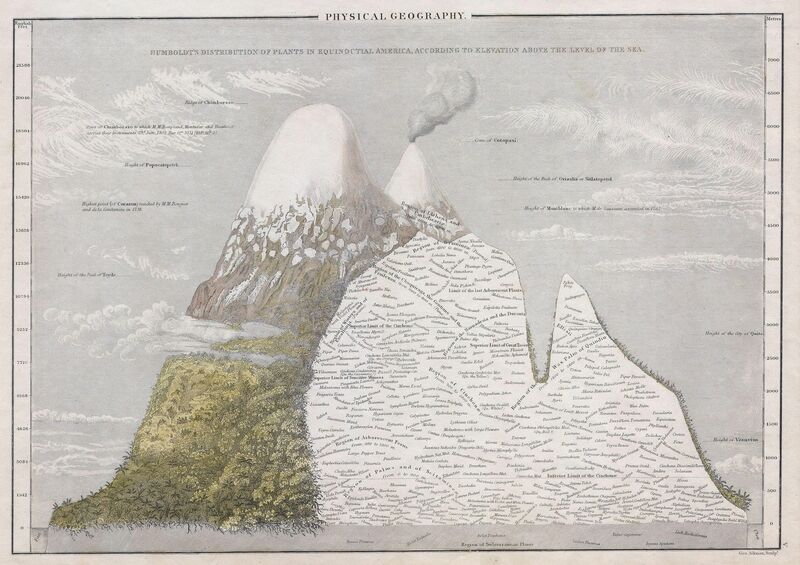 In 1802, Alexander von Humboldt mapped the distribution of plants and vegetation on the Chimborazo volcano in Ecuador. Physical Geography. Humboldt’s Distribution of Plants in Equinoctial America, According to Elevation Above the Level of the Sea. 1839. In a new paper in PNAS by Naia Morueta-Holme and others explain how they resurveyed Mt. 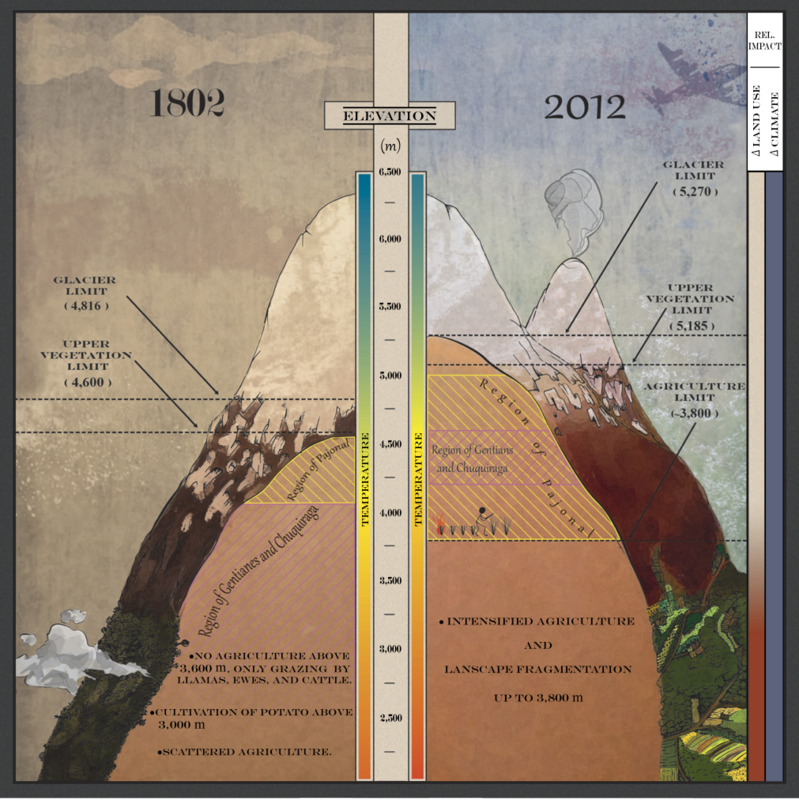 Chimborazo in 2012, 200 years after Humbodlt’s visit, to discover and map what changes had occurred. Their paper includes a fantastic updated version of Humboldt’s map, which supports “Humboldt’s proposal that climate is the primary control on the altitudinal distribution of vegetation”. An update of Humboldt’s Tableau. Shown is a summary of major changes in overall vegetation limit, average glacier limit, and shifts in topmost vegetation regions on Chimborazo from 1802 to 2012. The major drivers of change, climate, and land use change are represented by the bars to the right: a constant impact of climate change—in particular, increased temperature—the stronger relative impact of land use at the lower sites, mainly through in- tensified agriculture, and the effect of grass harvesting and local burning. Illustration of glaciers is approximate.